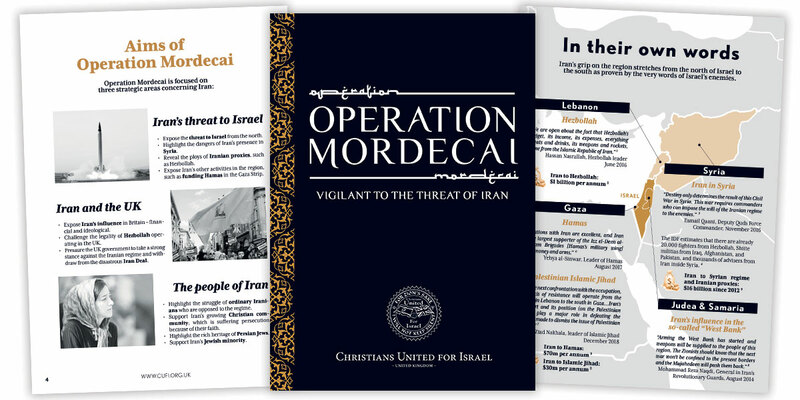 Operation Mordecai is CUFI UK’s strategic plan to highlight the threat from Iran to Israel and the West. 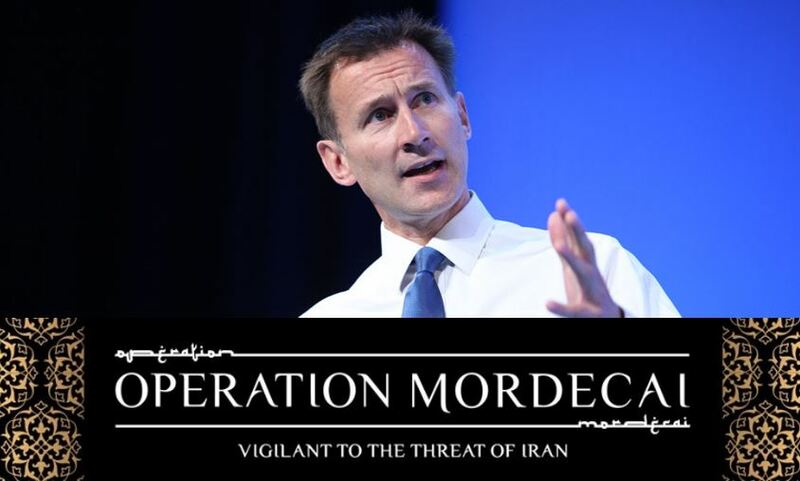 The on-going campaign will involve a number of actions on wide-ranging issues relating to Iran, but its primary aim is to ensure Britain positions itself on the right side of history by defending Israel against the tyrannous Iranian regime. Operation Mordecai takes inspiration from the Biblical account of Esther’s cousin, Mordecai, whom having heard of the plot to annihilate the Jews, sought the Lord, warned about what was planned and took action. Please see below for more details about this campaign and how you can get involved. What better way to mark the revolution’s 40th anniversary year than for Christians to rise up and proclaim to Israel: “We stand with you, you are not alone; we are ready to take action”. Highlight the struggle of ordinary Iranians opposed to the regime. Support Iran’s growing Christian community, which is suffering persecution because of their faith. Highlight the rich heritage of Persian Jews. Expose the threat to Israel from the north. Highlight the dangers of Iranian presence in Syria. Reveal the ploys of Iranian proxies, such as Hezbollah. Expose Iran’s other activities in the region, such as funding Hamas in the Gaza Strip. Expose Iran’s influence in Britain – financial and ideological. 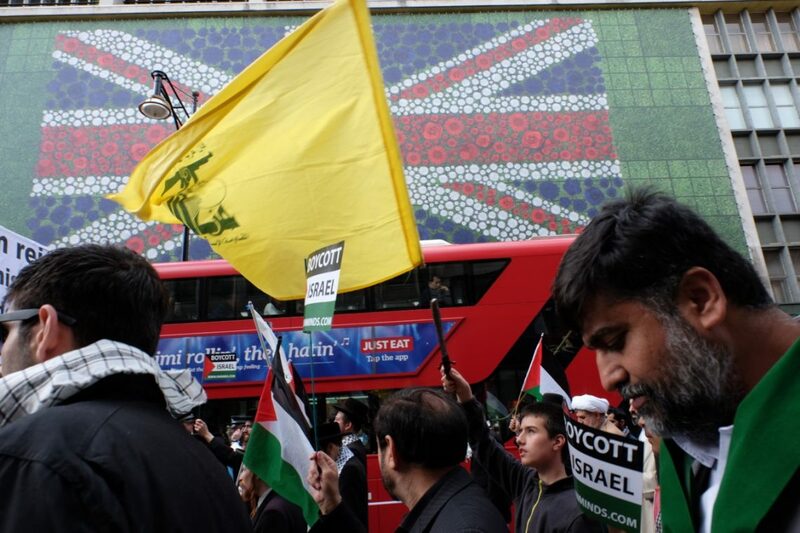 Challenge the legality of Hezbollah operating in the UK. Pressure the UK government to take a strong stance against the Iranian regime and withdraw from the disastrous Iran Deal. 1. Known as “Party of Allah”, Hezbollah wants to establish an Islamic government across the Arab world that will “liberate” Jerusalem. 2. From the inception of Hezbollah to the present, the elimination of the state of Israel has been a primary goal. 3. Its military and political wings are banned by Arab League, USA, Israel and France among others. But UK has only banned its military arm. 6. Hezbollah never takes responsibility for terror attacks but has been accused of attacks on Israeli diplomats and other targets in places as far as Thailand, Georgia, India, Cyprus and Bulgaria. It is believed to have been behind a 1994 suicide bombing in Argentina that killed 85 people. 7. Israeli intelligence estimates that Hezbollah amassed 150,000 rockets as of November 2015, including missiles capable of striking every major Israeli city. 8. Western analysts estimate that Hezbollah receives around $200 million a year from Iran. 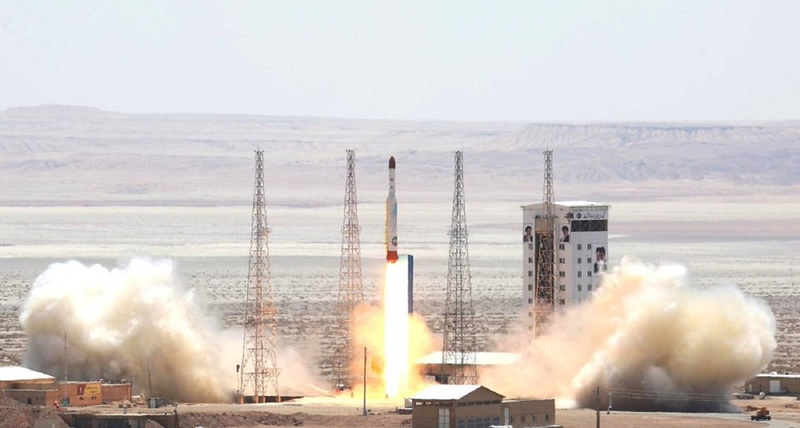 Iran’s Islamic Revolutionary Guard also provides training. 9. They have active cells in around the world, raising money and plotting attacks on Jews, Americans and other Westerners. Al Quds day means “Jerusalem Day” in Arabic. It is an annual event initiated by Iran in 1979 to express support for the Palestinians and oppose Zionism and Israel’s existence as well as Israel’s control of Jerusalem. Rallies are held throughout the world, especially the Middle East, on the last Friday of Ramadan. 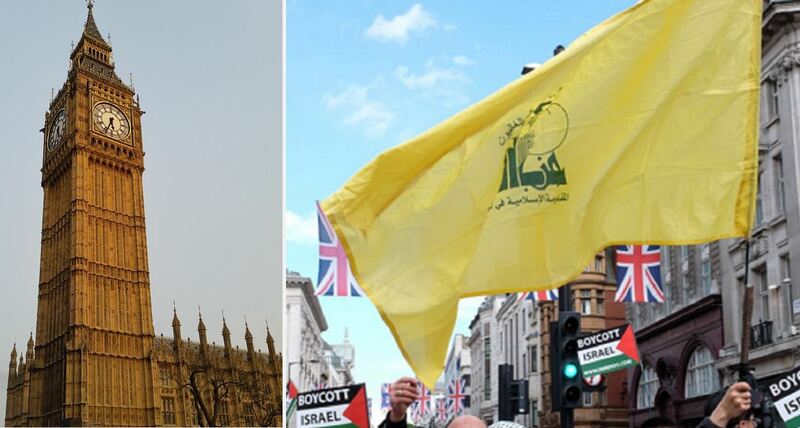 The Al Quds Day rally in London usually takes place on the Sunday prior. Yet, the founding principles and purpose of Al Quds Day are seemingly not enough to be deemed incitement to terror. The march in London is organised by Islamic Human Rights Commission. They describe it as a “day for the oppressed to rise and stand up against the arrogant”. They just don’t explain what that means. A number of groups support the march, including “Friends of Al-Aqsa”. It has been referred to as one of the more extremist Islamist organisations at work in Britain today. It supports the Muslim Brotherhood-linked charity ‘Interpal’ (proscribed by the US Treasury) and advertises it on its website. 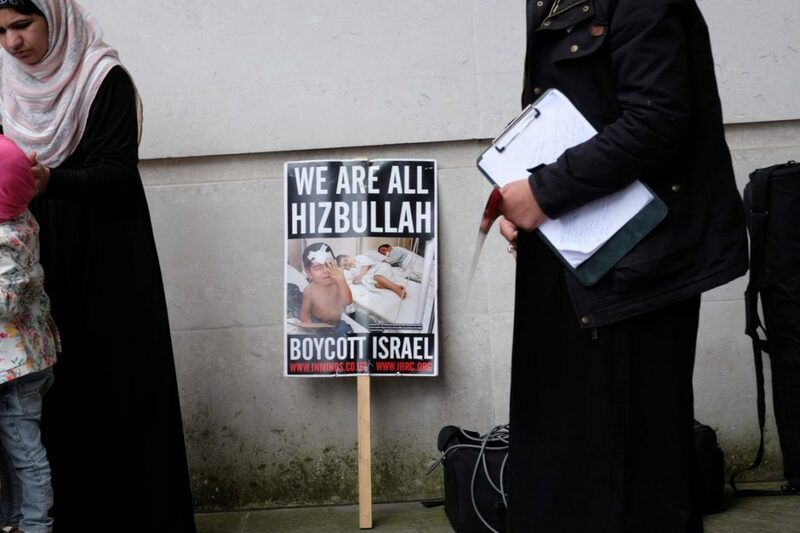 Friends of Al-Aqsa (FOA), founded in 1997 by a British optician, Ismail Patel, closely involved in several Islamic organizations such as the British Muslim Initiative (BMI). The BMI is a front group for Hamas, and has been for many years “the most active organization in the U.K Muslim Brotherhood”. If MAB wants to stop the spread of hatred it should stand by their word and distance itself from Al Quds Day. They are not the only ones that should distance themselves from Al Quds and what it stands for. In 2012 Jeremy Corbyn addressed the crowds on Al Quds Day (See below). But will Mayor Khan honour his commitment to fight terror and denounce this march? For the sake of Britain’s fight against terror, he should. HOW MANY CHRISTIANS LIVE IN IRAN? There are 800,000 Christians in Iran – a tiny minority in a country of 82 million, making up less than one per cent of the population. Amazingly, while Christians from Muslim backgrounds must keep their faith secret and could face the death penalty if discovered, they make up the largest group of Christians in the country. WHY ARE CHRISTIANS PERSECUTED IN IRAN? Christianity is seen as a Western influence and a threat to the Islamic Republic of Iran. All ethnic Persians are seen as Muslims. It is illegal to produce Christian literature or hold church services in their language, Farsi. If an ethnic Persian leaves Islam they can be punished with the death penalty – although they are more likely to be imprisoned for ‘crimes against national security’. 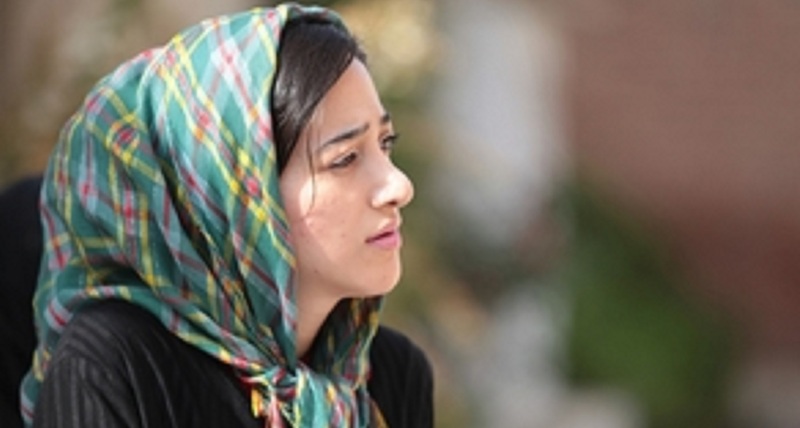 WHAT IS LIFE LIKE FOR CHRISTIANS IN IRAN? Believers from Muslim backgrounds keep their faith secret. Secret house churches are monitored and frequently raided, and dozens of Christians are imprisoned in appalling conditions. Christians from Armenian and Assyrian churches are allowed to practise their faith openly, but they still face discrimination, and it is illegal for them to share the gospel with Muslims. The Jewish community of Persia, modern-day Iran, is one of the oldest in the Diaspora, and its historical roots reach back to the 6th century B.C., the time of the First Temple. Their history in the pre-Islamic period is intertwined with that of the Jews of neighbouring Babylon. Cyrus, the first of the Archemid dynasty, conquered Babylon in 539 B.C. and permitted the Jewish exiles to return to the Land of Israel, bringing the First Exile to an end. The Jewish colonies were scattered from centres in Babylon to Persian provinces and cities such as Hamadan and Susa. The books of Esther, Ezra, Nehemiah, and Daniel give a favourable description of the relationship of the Jews to the court of the Achaemids at Susa. Throughout the 19th century, Jews were persecuted and discriminated against. Sometimes whole communities were forced to convert. During the 19th century, there was considerable emigration to the Land of Israel, and the Zionist movement spread throughout the community. Under the Phalevi Dynasty, established in 1925, the country was secularised and oriented toward the West. This greatly benefited the Jews, who were emancipated and played an important role in the economy and in cultural life. On the eve of the Islamic Revolution in 1979, 80,000 Jews lived in Iran. In the wake of the upheaval, tens of thousands of Jews, especially the wealthy, left the country, leaving behind vast amounts of property. According to 2017, less than 8,700 Jews live in Iran today. Despite the official distinction between “Jews,” “Zionists,” and “Israel,” the most common accusation the Jews encounter is that of maintaining contacts with Zionists. The Jewish community does enjoy a measure of religious freedom but is faced with constant suspicion of cooperating with the Zionist state and with “imperialistic America” — both such activities are punishable by death. Jews who apply for a passport to travel abroad must do so in a special bureau and are immediately put under surveillance. The government does not generally allow all members of a family to travel abroad at the same time to prevent Jewish emigration. Again, the Jews live under the status of dhimmi, with the restrictions im posed on religious minorities. Jewish leaders fear government reprisals if they draw attention to official mistreatment of their community. Iran’s official government-controlled media often issues anti-Semitic propaganda. A prime example is the government’s publishing of the Protocols of the Elders of Zion, a notorious Czarist forgery, in 1994 and 1999. Jews also suffer varying degrees of officially sanctioned discrimination, particularly in the areas of employment, education, and public accommodations. The Islamization of the country has brought about strict control over Jewish educational institutions. Before the revolution, there were some 20 Jewish schools functioning throughout the country. In recent years, most of these have been closed down. In the remaining schools, Jewish principals have been replaced by Muslims. In Tehran there are still three schools in which Jewish pupils constitute a majority. The curriculum is Islamic, and Hebrew is forbidden as the language of instruction for Jewish studies. Special Hebrew lessons are conducted on Fridays by the Orthodox Otzar ha-Torah organization, which is responsible for Jewish religious education. Saturday is no longer officially recognized as the Jewish sabbath, and Jewish pupils are compelled to attend school on that day. 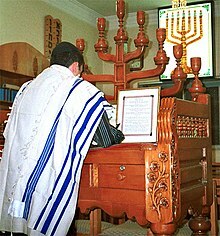 There are three synagogues in Tehran, but since 1994, there has been no rabbi in Iran, and the bet din does not function. After the Iranian revolution in early 1979 members of the Jewish community feared for their lives, afraid that they would be murdered or expelled by the new Iranian regime. After the execution of prominent Jewish businessman Habib Elghanian on May 9, 1979, was publicized in local news outlets, the leaders of the Jewish community in Iran knew that they had to act fast in order to guarantee the safety of all Iranian Jews. The community leaders quickly assembled a group of two rabbis and four prominent young intellectuals and set off to meet with Ayatollah Khomeini in the Iranian city of Qom. After the group congratulated the Ayatollah on his victory over the Shah in the recent revolution, the Ayatollah gave a long monologue concluding by comparing Christianity, Islam and Judaism and saying that they are the only religions that are truly descended from heaven. The Ayatollah stated that in the Qur’an Moses’s name is mentioned more times than the name of any other Prophet. The discussion concluded with Ayatollah Khomeini claiming that “we recognize our Jews as separate from those godless, bloodsucking Zionists.” This was the answer that the Jewish community leaders had been looking for, and the Iranian government has kept their word and kept the Jews physically safe (for the most part) ever since this moment. On the eve of Passover in 1999, 13 Jews from Shiraz and Isfahan in southern Iran were arrested and accused of spying for Israel and the United States. In September 2000, an Iranian appeals court upheld a decision to imprison ten of the thirteen Jews accused of spying for Israel. In the appeals court, ten of the accused were found guilty of cooperating with Israel and were given prison terms ranging from two to nine years. Three of the accused were found innocent in the first trial. In March 2001, one of the imprisoned Jews was released, a second was freed in January 2002, the remaining eight were set free in late October 2002. The last five apparently were released on furlough for an indefinite period, leaving them vulnerable to future arrest. Three others were reportedly pardoned by Iran’s Supreme Leader, Ayatollah Ali Khamenei. At least 13 Jews have been executed in Iran since the Islamic revolution, most of them for either religious reasons or their connection to Israel. For example, in May 1998, Jewish businessman Ruhollah Kakhodah-Zadeh was hanged in prison without a public charge or legal proceeding, apparently for assisting Jews to emigrate. Today, Iran’s Jewish population is the second largest in the Middle East, after Israel. Reports vary as to the condition and treatment of the small, tight-knit community, and the population of Iranian Jews can only be estimated due to the community’s isolation from world Jewry. The Jewish community in Iran is alive and well, although they live under the oppressive Islamic regime. In Iran’s capital city of Tehran there are 13 active synagogues that hold weekly services, five Jewish schools, two Jewish kindergartens, and a 100-bed capacity Jewish hospital. Although there are active Jewish communities all around the country, Tehran’s community is the most significant. Frank Nikbakht was born in 1953, in Tehran, Iran. In the early eighties, there was a war underway between Iran and Iraq. There was also civil disturbance within Frank’s own community between differing factions. In addition to the dangers of living in a war torn country, Frank was faced with the added pressure of being Jewish, encountering religious persecution throughout his life. Realizing his only way of escape was to be smuggled out of his country he began his journey. Frank successfully escaped Iran and eventually immigrated to the United States in 1982. In 1999, 13 Jews living in Shiraz, Iran, were wrongfully arrested on charges of spying for Israel. The penalties for the erroneous charges brought against the men was execution. Local Iranian Jews were convinced by leaders in their community to lay low as plans were being developed to free the 13 prisoners. Having experienced his own religious persecution while living in Iran, Frank decided he could no longer keep quiet. He and a small, passionate group of Iranian Jews decided to break their silence. Frank and his companions took further steps to push for justice. To do so, they strengthened alliance with several American-Jewish organizations. They developed volunteer campaigns that publicly illuminated the severity of the case. Without hesitation, they also lobbied for European officials and the U.S. to pressure the Iranian regime to release the falsely accused. As a result, the prisoners were able to escape execution and were released. Little did Frank know, helping the 13 prisoners from Shariz was the beginning of a life-long advocacy for him. He remains devoted to the cause of helping religious minorities still living in Iran. For the past 30 years, Frank has spent his time documenting thousands of discriminatory laws. Many of these documents are still being used by journalists and scholars around the world. Today, Frank lives in Los Angeles, California, where he volunteers much of his time serving with The Committee for Minority Rights in Iran. Simon Sion Ebrahimi was born and raised in Esfahan, Iran. Simon took up residence in England for a time, where he studied management and finance. Upon the completion of his education Simon returned to Iran, where he would eventually become a partner at the largest international accounting (CPA) firm in Iran. In 1979, during the revolution which took place under Ayatollah Khomeini’s control, Simon was taken hostage in Tehran, by his employees. Ultimately, Simon was able to escape. After which, he fled Iran and headed to France with his wife and their two daughters. He and his family eventually reached the United States, where they made their home in Los Angeles, California. Simon is an accomplished writer, having penned three novels. His first novel being “Veiled Romance: A Persian Tale of Passion and Revolution”. Simon has stated that his book was inspired by personal experiences and observations while living in Iran at the time of the revolution. Simon spent over fifteen years as the editor of Shofar, a monthly magazine put out by the Iranian American Jewish Federation. The magazine boasts an on-average readership of nearly fifty-thousand and is printed in both English and Farsi. Simon has since retired and currently resides in Woodland Hills, California.